Volunteers come to SICSA for many reasons, but most are here because they love and want to help animals. Danielle Poe is one such volunteer. She came to SICSA because she loves animals and so was looking for a way to minimize their suffering and improve the quality of their lives. 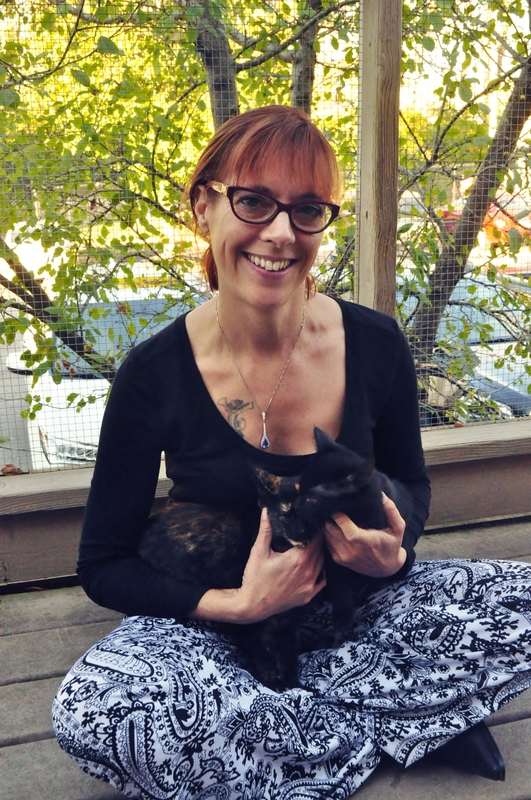 In her five years here, Danielle has fostered cats, volunteered at the Chip, Dip & Cheer dog wash, and served as Secretary on the SICSA Board of Directors. Her favorite part about volunteering is being a part of the foster care program. It allows her to have kittens on a regular basis, without contributing to the overpopulation problem! 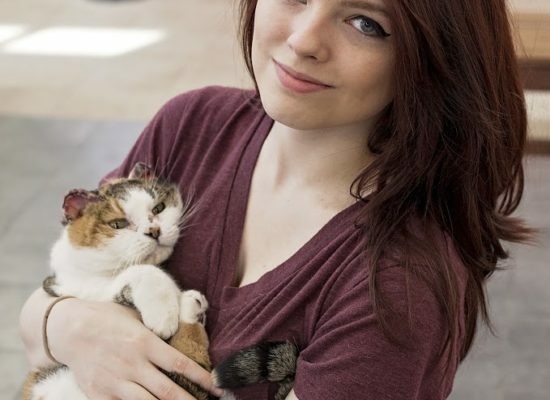 One of Danielle’s fondest memories of volunteering at SICSA was when she was fostering a pregnant cat. The cat was sleeping in her daughter, Lola’s, room. Danielle says that she was so comfortable with her daughter that she actually gave birth to the kittens on the bed as Lola slept! Along with all that she does for SICSA, Danielle has also given SICSA animals a home. Two summers ago, Danielle was volunteering at Chip, Dip & Cheer. 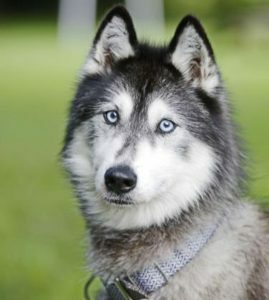 While at the event, she helped wash a SICSA foster dog named Nova, who was a beautiful Husky. Nova was severely underweight, lethargic, and a picky eater. Danielle and her family immediately fell in love with her. They took her home to foster and ended up adopting her. Danielle is happy to report that Nova is a very happy, energetic, and well-loved dog! SICSA is also fortunate that we have found such a dedicated and passionate supporter and volunteer; someone who has not only helped SICSA in many different ways but has given a home to SICSA animals, whether permanent pets or temporary fosters. We truly value the time Danielle has spent here and hope she stays with us for many years to come! Become a member today and help save lives in our community. These two talented volunteers help animals in many ways.